Attention: In order to receive this special offer, please call us at 1-302-477-9730 or toll free at 1-888-658-6641. 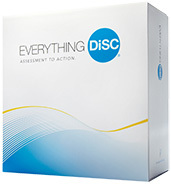 The Everything DiSC Workplace Profile can be used as a stand-alone assessment or as part of training program. For organizations that want to implement DiSC, we offer professional facilitator materials to get trainers up and running quickly. Use the tabs below to see the variety of options. The Everything DiSC Workplace Profile is a research-validated DiSC-based online profile that will provide you with a relationship-specific 20 page report. Profile participants take a 79-item survey to generate their DiSC report. This assessment helps people develop effective working relationships for long-term success. Profiles access codes will be delivered to your inbox immediately. 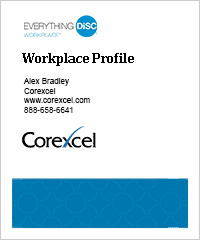 If you would prefer to have Corexcel distribute your access codes, or to have EPIC Credits added to an existing EPIC Account, visit our Everything DiSC Workplace assessment options page to place your order. The Everything DiSC Profile Facilitator Report is a group report you can use to get an overview of your group's workplace behavioral style (profiles). It will help you facilitate discussions around the individual DiSC Workplace Profile your participants complete. You get a summary of their DiSC styles and how they relate to each other. 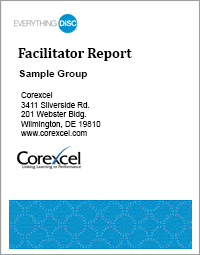 The facilitator report also provides an overview of your group's culture while presenting issues to consider and discuss. Your team will work together more effectively. 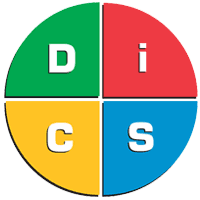 The Everything DiSC Group Culture Report provides a composite of your group's DiSC styles. 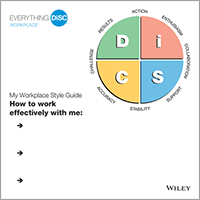 If you have a group of participants who have completed the Everything DiSC Sales, Management, or Workplace profiles, you can view a summary on the DiSC styles found in your group and how they impact your organization's culture. 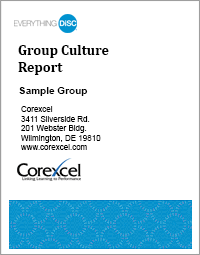 The report allows you to easily determine a group's DiSC culture and explore its advantages and disadvantages. The Everything DiSC Group Culture report does not include participant names. The Everything DiSC Workplace Facilitation Materials give you all of the tools needed to present professional training programs. It includes a fully scripted program which contains engaging experiential and processing activities. Easily add, subtract or rearrange materials to create unique presentations and reports for virtually every situation and any time frame. Offer courses ranging from one-hour to a full-day. 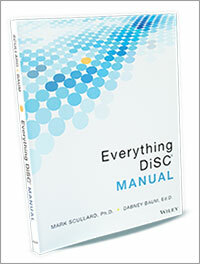 Everything DiSC Workplace Interaction Guides are used to support your DiSC training sessions. These are job aids that feature the Everything DiSC Map and tips for adapting behavioral styles for communicating better with employees. They are great for use in your workspace to foster positive office relationships. These Workplace Style Guides are great ice breakers for a training session or use them as handy interaction tool in your office. Mark your style on the Everything DiSC circle and indicate communication styles that are effective for you. 4:19 - Short introduction to Everything DiSC Workplace. 3:30 - Project team meeting introduces coworkers representing the four DiSC styles. 2:20 - Coworkers describe their challenges and strategies of working with the i style. 4:07 - Short introduction to Everything DiSC Workplace in Spanish. trademarks of John Wiley & Sons, Inc.